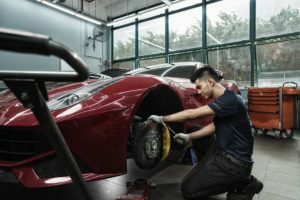 We are a leading automotive service provider in Singapore in terms of the number of cars maintained and/or repaired in 2015. 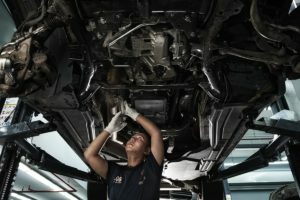 We are able to maintain and repair a wide range of brands of passenger cars in Singapore. We offer a comprehensive range of passenger car services including (i) maintenance and repair services; and (ii) modification, tuning and grooming services. We also sell passenger car spare parts and accessories in Singapore and export to other countries, such as Malaysia, Indonesia, United Kingdom, PRC and Thailand. Our Group has over 14 years of experience in the passenger car service industry. 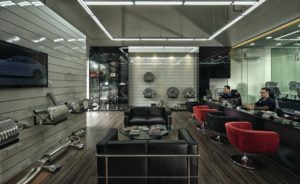 Our Group is equipped with diagnostic equipment for the maintenance and repair of a wide range of passenger cars, including and especially luxury and ultra-luxury passenger cars. We modify and tune mainly luxury and ultra-luxury passenger cars, providing services ranging from aesthetic modifications such as installing bodykits, to performance modifications such as lowering the suspension of passenger cars and replacing of the engine control unit. As at 31 October 2016, we operated 2 service centres in Singapore, being our Sin Ming Service Centre and Commonwealth Service Centre. We understand and place great emphasis on high quality customer service as this can be a key differentiator from our competitors. We focus our modification, tuning and grooming services on luxury and ultra-luxury passenger cars. The owners of these kind of passenger cars generally place more value on high quality customer service. We believe that providing high quality customer service to each of our customers is the key to building customer relationships and attracting new customers. In line with this core business philosophy, we provide training to our customer service officers with the aim of promoting high customer satisfaction.